Pretty snazzy, huh? Dangerous Turns (Rav link), knit in Knitsch 'Peacock in the Parlour'. 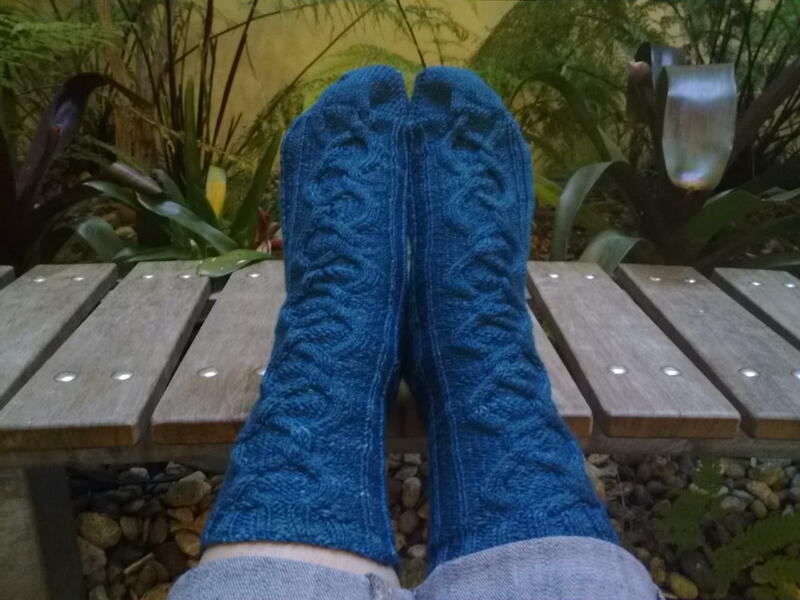 The colourway was one of the limited edition sock club skeins. The boys only have one more week of school before the Easter holidays - I must prepare myself. Perhaps knitting should take a break - gotta have some knitting saved for the holidays, to keep me sane while the boys tear the house apart!